Hey parents! 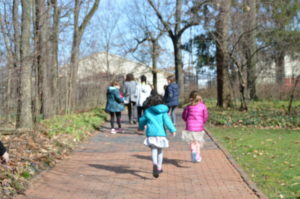 It’s spring break in Indiana, and at Minnetrista, kids will love reading silly poems, playing games, and interacting with friends at our Spring Poetry Camp! By creating a fun environment for kids to create and a safe space for them to share their creations, Minnetrista guides will bring out the unique, expressive individual in every child! For children in grades K–3. Campers will need to bring their own lunch every day. March 28–29; 9 a.m.–3 p.m.